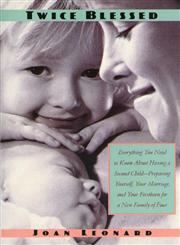 The Title "Twice Blessed Everything you need to Know About Having A Second Child-- Preparing Yourself, Your Marriage, And Your Firstborn For A New Family Of Four" is written by Joan Leonard. This book was published in the year 2000. The ISBN number 031225430X|9780312254308 is assigned to the Paperback version of this title. This book also comes in Paperback . This book has total of pp. 224 (Pages). It is a multi volume book, other associated volume(s) is/are Twice Blessed Everything you need to Know About Having A Second Child-- Preparing Yourself, Your Marriage, And Your Firstborn For A New Family Of Four . 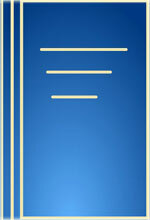 The publisher of this title is MacMillan. We have about 51213 other great books from this publisher. Twice Blessed Everything you need to Know About Having A Second Child-- Preparing Yourself, Your Marriage, And Your Firstborn For A New Family Of Four is currently Available with us.